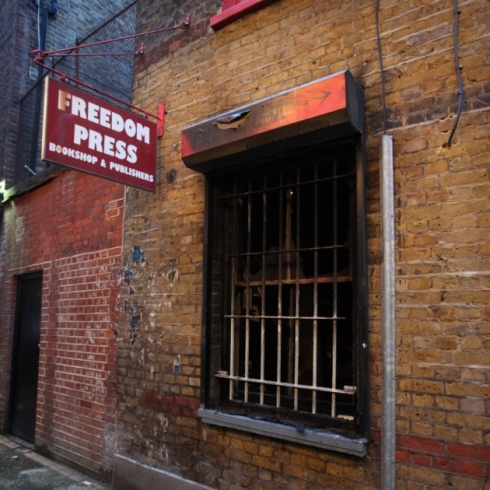 Freedom Press and Bookshop in Whitechapel, London, was firebombed on the weekend. We went down there yesterday to survey the damage and offer a little support. This is in fact the second time the bookshop has been attacked. In March 1993 it was firebombed by the neo-nazi group Combat 18 (1 and 8 being the positions of Hitler’s initials in the alphabet – although universally ignorant of history, it seems some fascists can actually read). This time, no-one has so far claimed responsibility. No-one was injured in the attack. Apart from being our favourite anarchist bookshop, Freedom Press also provides a home for other grass roots organisations including Corporate Watch, Solidarity Federation, Advisory Service for Squatters and the London Campaign Against Poverty. 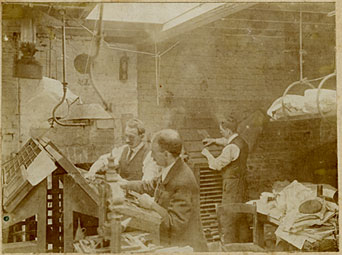 The newspaper and original printing press dates back to the 1880’s, and has a long history of involvement in local struggles as well as international solidarity campaigns. To support Freedom, make a donation or take out a subscription. Rebel Technology will shortly be auctioning a few modules to help raise funds.